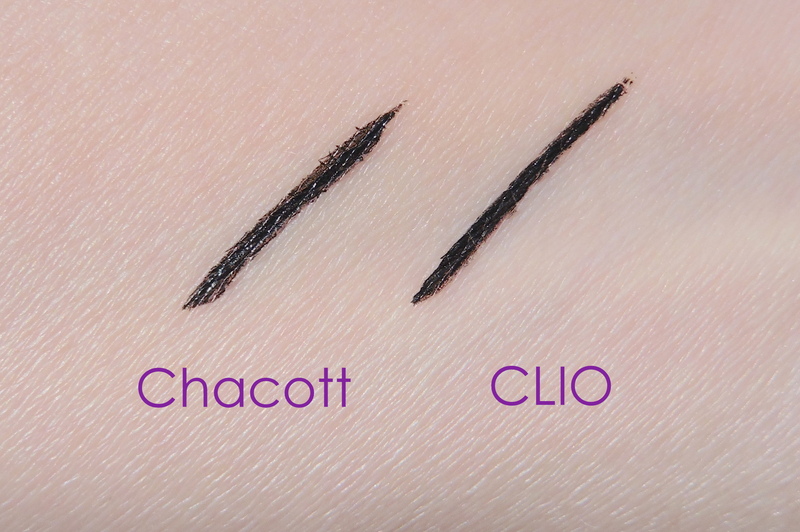 The Chacott Quick Eyeliner in 356 Black ($18 for 0.016 oz. 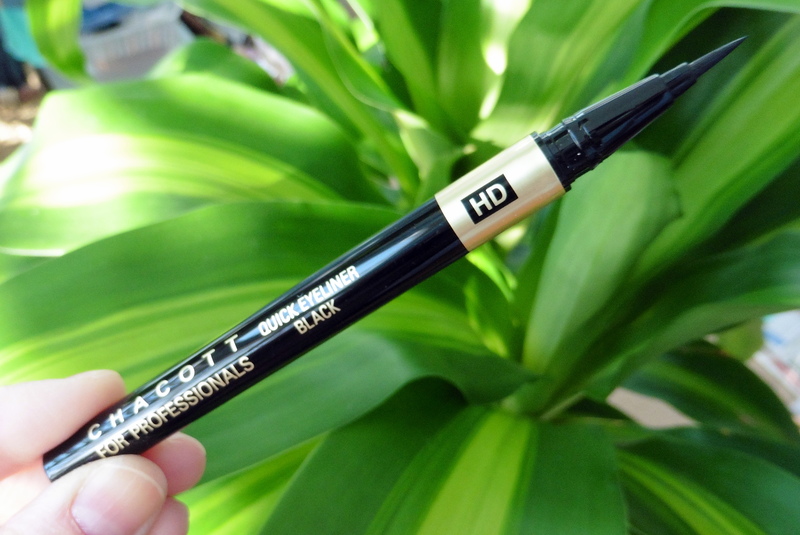 at Chacott’s online store or oo35mm) claims to be appropriate for HDTV. I don’t know about that, but it is a saturated, glossy, jet black, waterproof formula that applies easily and precisely through a brush tip. 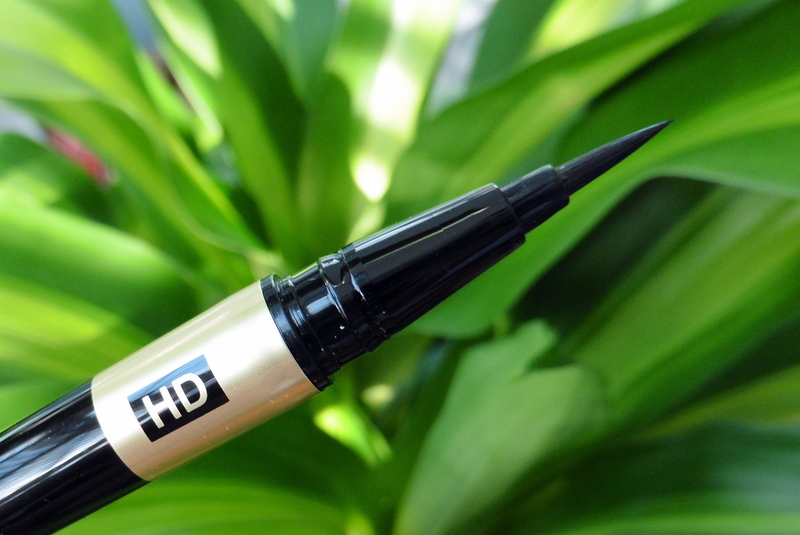 It’s my new favorite eyeliner, able to survive all day on hooded, oily eyelids. Yet I gravitate towards the Chacott more. Both can draw lines of extremely fine to medium thickness. 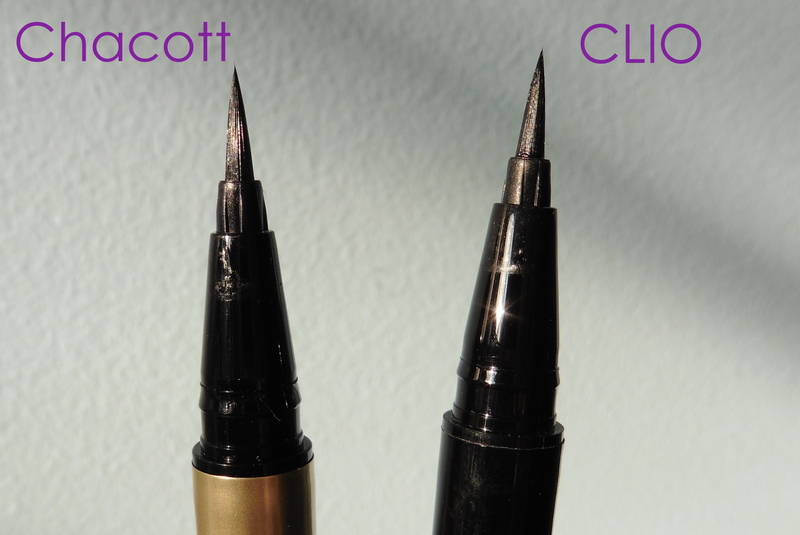 However, when I use medium pressure, the Chacott draws sliiiightly thicker lines than the CLIO, which–since I tend to draw my eyeliner on pretty thick–means less time spent building up the shape. I’ve been using the Chacott regularly for several weeks now and it hasn’t dried out. HG stuff! Pros: Easy to use. Consistent, pigmented flow. Can easily draw fine to medium lines. Smudgeproof and long-lasting.